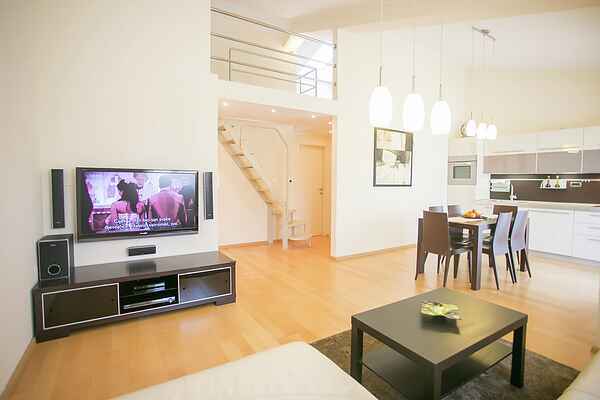 The beautiful modern apartment Arman is 72m2 and is located on the first floor of a house. It includes: double bedroom, gallery with double bed, plus a kitchen, a bathroom with shower and a balcony. The interior is equipped with: a Kermais stove, a refrigerator, coffee maker and a dishwasher. It also has air conditioning, satellite TV and a washing machine. Private parking is available in front of the building. Ideal for a relaxing holiday.